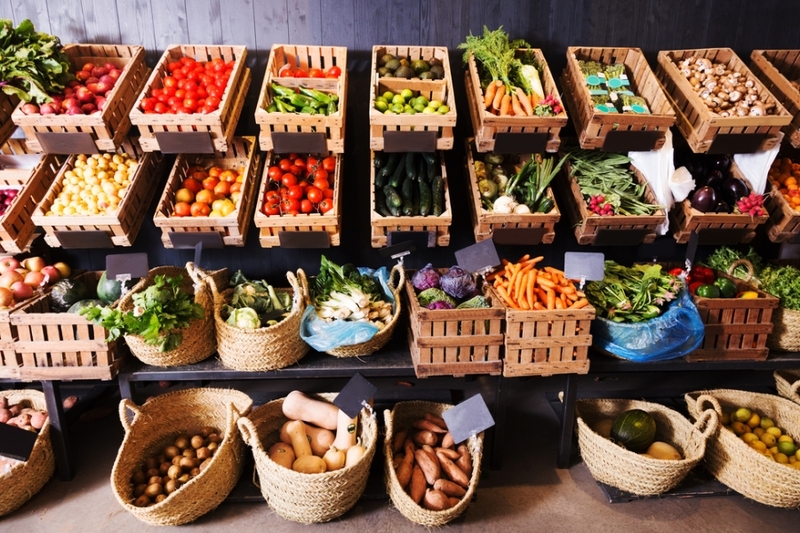 Overspending at the supermarket is easy to do but if you’re on a budget then you’ll need to know how to save money on groceries. 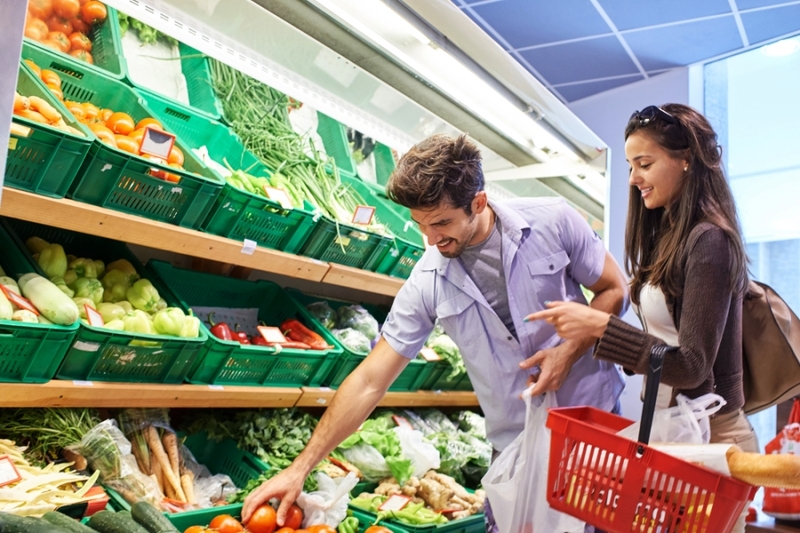 Check out these 16 grocery shopping tips for cutting back on your weekly food bill this week! Never go to the supermarket without a list. If you rely on your memory, you’ll end up forgetting essential items which means another trip to the store, and a waste of gas. Not to mention the time wasted on two round trips. This is where a list is crucial. Plan to shop only once a week; the less you shop, the more you’ll save. You’ll also be less tempted to buy additional items if you reduce your time in the store. You can save money on groceries by planning meals around items that you already have in your pantry. There’s no point in buying more of something if you’ve already got it. You can use a website like Supercook to search for a recipe with the ingredients you have already at home. Buy frequently used items in bulk at discounted prices. If you know you’re going to use it, it makes sense to try and save money on food now. Only do this if you have the space to store the items or a large freezer. Similarly, buying produce that’s in season is a lot cheaper than off-season prices. For example, when prices are low on berries buy extra and freeze in ziplock bags to enjoy throughout the year at your leisure. Review your grocery receipt and see if you can swap out a few expensive items for lower cost alternatives. Doing this each week can add up to big savings over time. I recently realized I could save a lot of money on frozen poultry rather than buying them fresh. I started saving a bunch after I transitioned into buying frozen poultry and paying $10-15 less than buying them fresh. And they are the same quality! Several items offered for one price might look like a good deal (e.g 10 for $10) but not if they’re just going to sit in your pantry or perish. Buying in bulk will only save money on groceries for frequently used items, like canned tomatoes or tuna, or products you can freeze. Heading to the supermarket with an empty stomach is a bad idea if you’re grocery shopping on a budget. If there are any grocery shopping tips you follow, it should be this one. Eat before you shop! I can’t tell you how many times I convinced myself I’ll be making pancakes every morning while grocery shopping, only to have the pancake powder sit in the cupboard and never used. On an empty stomach, your food purchase decisions are skewed. Supermarkets strategically place dairy and produce at opposite ends to force you to pass by all the aisles. But if you head only to the aisles that have the items you need, you are more likely to avoid impulse buys; your shopping trip will also be a lot quicker. You’ll pay more for name-brand products with a fancy label, so avoid these to save money on groceries. Generic brands are usually much cheaper and if it’s the same product then why pay more? Eye-level shelves stock the priciest items because they’re seen first and more easily reached. So look at the higher and lower shelves for cheaper items. Prepared meals are easy to heat and eat, but you’ll pay a lot more than if you cooked it yourself. You can save money on food by cooking more than you need and freezing leftovers. You can easily pop these in the microwave on nights you’re too busy or tired to cook. Do you really need to buy that package of chicken fried rice? Just Google the recipe, cook it yourself in bulk and freeze it! Grated cheese or pre-cut fruit is convenient but packaged food like this will cost you a lot more. Why not grate and cut it yourself and save money on groceries? It’s free to get water from your faucet so paying for bottled water doesn’t really make sense. You’re also doing the planet a favor by not buying and disposing of plastic bottles. Using the self-checkout will help you to save money on groceries. This is because the wait time is shorter and there are usually fewer items available for impulse buys around self-checkout stands. Sure those little bundles of herbs—at $2-plus a pop—are very convenient. But do you ever use them all or throw most of them away? By growing your own herbs in pots or in your garden (if you have one) you’ll always have fresh herbs. Your landlord will love the fact that you’re making plans to be a long-term tenant too. We hope these tips for how to save on groceries come in handy when you’re at the supermarket this week. Happy shopping! What Is a Money Order & How Do They Work?